Chelsea’s pursuit of Borussia Dortmund wonderkid Christian Pulisic could see them finally welcome the 20-year-old to Stamford Bridge at the end of the season. American Pulisic is one of the best players in the world in his age bracket and has already scored goals in the Bundesliga, Champions League and at senior international level. According to the Daily Mail, Pulisic has suggested that he is keen to move to Stamford Bridge in a switch worth around £60m. Although the deal would likely go through in the summer, The Mail report that it could be confirmed in advance next month. As one starlet is being linked with a move to Stamford Bridge, another is being talked up for a potential move away. 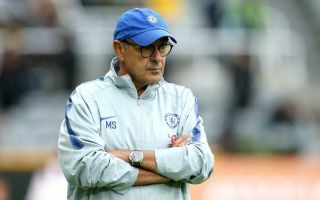 Eighteen-year-old Callum Hudson-Odoi has impressed in four Europa League appearances this season, but the young forward has yet to feature in the Premier League under Maurizio Sarri. Sarri does rate Hudson-Odoi highly, claim The Mail, but youngster only has 18 months left on his contract and the newspaper also report that Chelsea could potentially get £25m were they to cash-in on interest from the likes of Bayern Munich, RB Leipzig and Monaco in January.